Over the past two decades, FitzGerald Yap Kreditor partner Lynne Bolduc has established herself as one of the premier corporate and securities lawyers in California. She has structured and implemented over $1 billion in financings, and has represented both domestic and international clients in complex transactions across multiple industries. She represents both private and public companies, as well as investment bankers and broker/dealers. Lynne’s experience includes entity selection and formation matters for businesses just getting started; contract negotiations, review, and drafting; mergers and acquisitions; private offerings; public offerings; and public company reporting with the Securities and Exchange Commission. 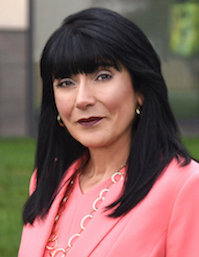 Not only has she earned the trust of her clients and the respect of her peers, she is also a frequent speaker and expert witness on business and securities law issues, has published numerous articles, and has been recognized as a Southern California Rising Star Attorney by Los Angeles magazine and Southern California Super Lawyers three years in a row (2006, 2005 and 2004). Represented Chinese company in $120 million initial public offering on NASDAQ. Represented managing broker/dealer in largest retail private offering in the U.S. Performed first ever initial public offering of a Pakistani company. Represented oil and gas company in $66 million initial public offering on NASDAQ. Represented underwriter in $25 million initial public offering of healthcare company on NASDAQ. Counseled technology company in initial public offering. Represented broker/dealer of $150 million private REIT. Represented broker/dealer in $35 million private offering of real estate company. Represented numerous start-up companies through various stages of financing. Advises nationwide broker/dealers in all investment banking and compliance matters. Conducted film financing in the entertainment industry, including for the Matchbox Twenty and Duran Duran concert videos, as well as the film, Frankie and Johnny Get Married. Represented private company in its $12 Million acquisition by Mistras Group Inc, an international New York Stock Exchange traded company NYSE:MG with revenues of $436 Million. Presenter, Operating and Managing a Small Business, Saddleback College, Mission Viejo, California, March 2013. Speaker, The Colorful World of Securities Law, Women’s Business Development Initiative, Irvine, California, March 2012. Speaker, Everything You Wanted to Know About Securities Law, But Were Afraid to Ask, National Investment Banking Association Conference, Las Vegas, Nevada, December 2008. Panelist, Real Estate: New Ideas for Today’s Fast Changing Market, Brookstreet Securities Corporation 2005 Annual Product Marketing Conference, San Diego, California, May 2005. Underwriters Now Held to Higher Standards of Due Diligence, February 27, 1998, with Richard Houlihan, CPA, ASA, Houlihan Smith & Company, Inc.
A Case Without a Client, The Private Securities Litigation Reform Act of 1995, The Federal Lawyer magazine, May 1996. Time for a Change: Problems with the American Jury System, Women Lawyers Journal, December 1995. My Two Moms, Johnson v. Calvert, Western State University Law Review, fall, 1993.